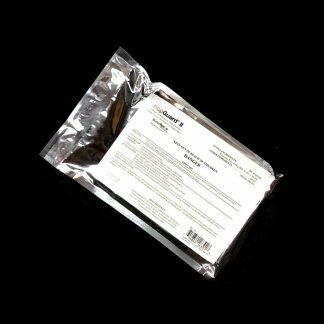 The rigid Apivar® strips release just the right amount of active substance where it is needed when it is needed. The manufacturing process used to produce these strips guarantees that just the right amount of active miticide, Amitraz, is released when and where it is needed. Slow-release Apivar® treatment contains just the right amount of product to eliminate varroa mites without any risk of toxicity for the bees or any danger of residues accumulating in hive products. The active substance is released simply when the bees come into contact with the strip. 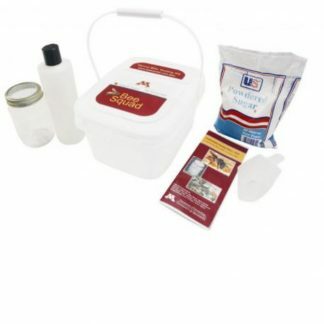 Toxic for mites but safe for your beeswax, queens and respectful for your hive products. 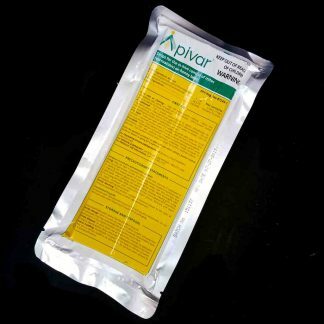 Apivar® leaves the bee, honey and wax and all other hive-derived products unaffected. 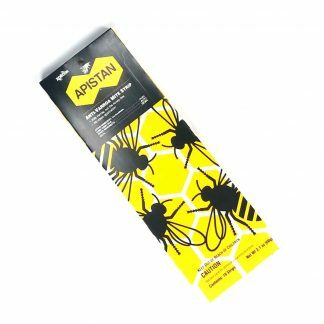 Studies have proven that under normal conditions and use Apivar® is harmless for the bee and for all products made in the hive. 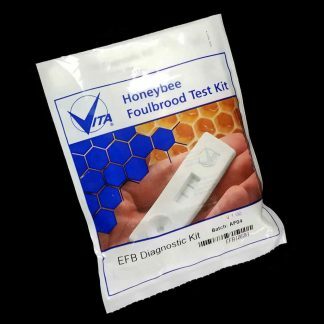 Investigations designed to detect residues of active substance in honey, wax, propolis, and pollen have shown that you may harvest these products immediately after the end of the treatment period, no withdrawal time being necessary. 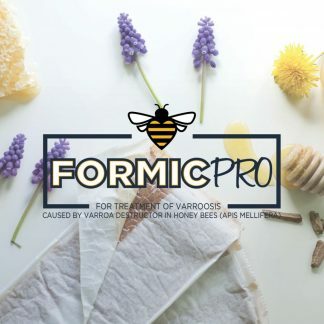 Thanks to the progressive and measured release of the active substance from the unique Apivar®formulation, your hive is healthy and its products are free from contamination.